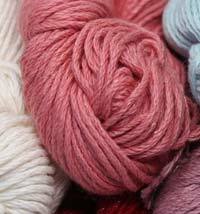 Cotton Yarn is a perfect everyday, affordable yarn, soft and easy to knit up and care for. 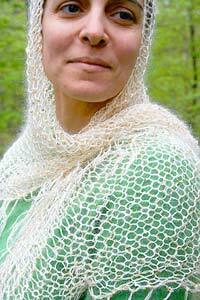 Knitters love cotton for it's natural lightness, breathability, and the comfort it naturally imparts. Soft enough for baby, hard-working and elegant enough for a night on the town, cotton is truly a miracle fiber. 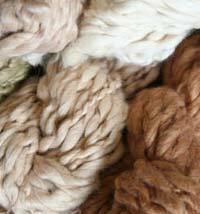 Naturally colored cotton recently has been gaining popularity, but its history dates back centuries. 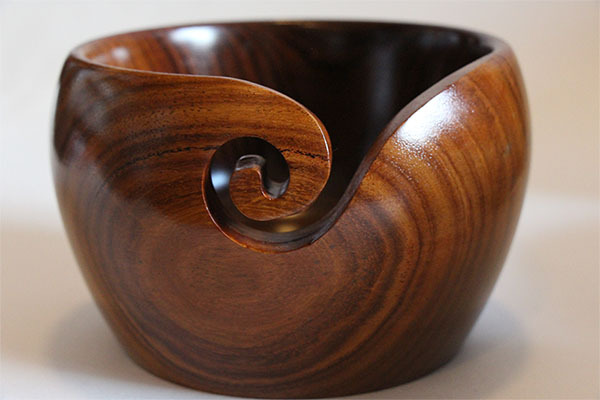 In the Americas, cottons in shades of tan and brown have been grown for centuries. 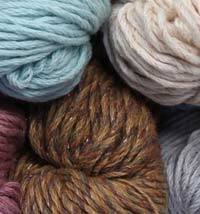 In Peru, brown cotton is preferred for fishing nets, since the darker color is less visible to the fish than white cotton. The shorter fibers are fine for hand spinning, but they quickly fell out of favor after cotton processing was mechanized. During the mid 1800s, slaves were allowed only to grow brown cotton, since white cotton was favored by plantation owners. 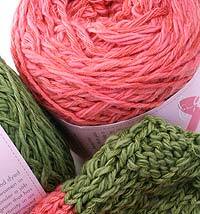 Most of the cotton yarn at Fabulous Yarn is organically grown and dyed making it great for babies and anyone with sensitive skin. 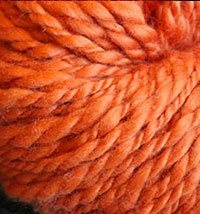 What is Natural Cotton Yarn? In the 1980s and 1990s, Sally Fox, an entomologist and weaver, started experimenting with naturally colored cotton plants, breeding for fibers that are stronger and basically double that of the original plants she worked with, allowing naturally colored cotton to be mechanically spun. 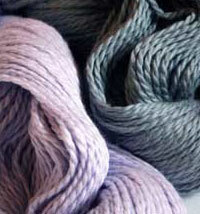 Fox also bred for color, as some cottons will intensify and some lighten with washing. There are also green cottons, which actually turn green after boiling; the cotton bolls are yellow on the plant. Some varieties were discovered to have natural fire resistance and now there is breeding for fire resistance and other positive characteristics. 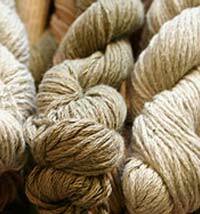 Fox obtained four plant variety protection certificates (equivalent to patents for open pollinated plants) under Fox FibreR in six shades (browns and greens). Fox's company, Natural Cotton Colours, Inc. holds these rights until 2008 and has developed into a multimillion dollar business. 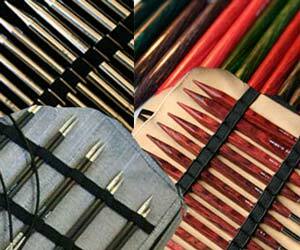 Fox has received numerous prestigious awards. 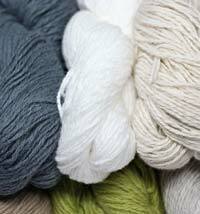 This cotton has more than a soft, pretty color. It has a longer bloom cycle, greater pest resistance and is more tolerant of drought and poor soil than modern breeds. The foliage is more finely divided. 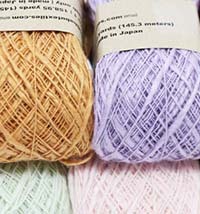 Cotton yarn works for Spring, Summer, Winter, Fall. 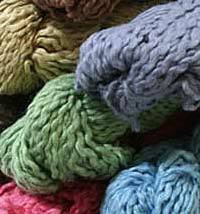 100% Cotton yarn in skinny, worsted and chunky. 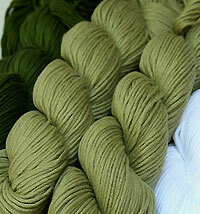 Organic Dyed and Completely Color-Grown (ie, naturally occuring colors) can be found here.